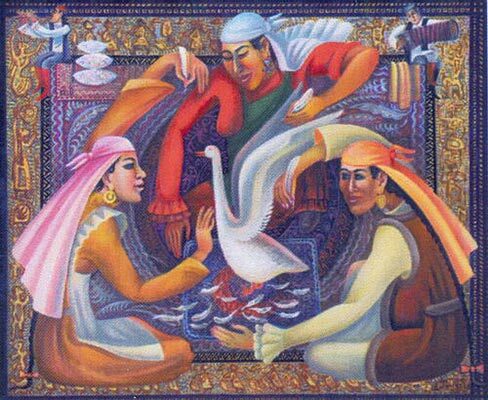 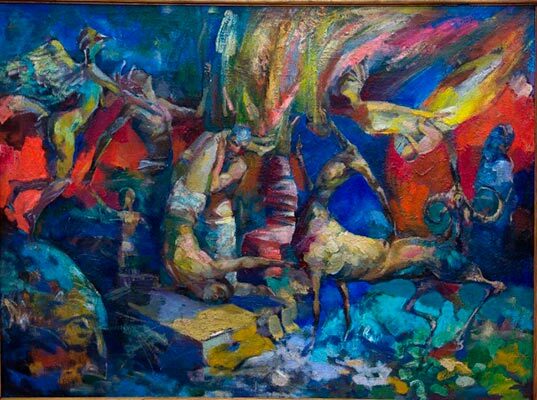 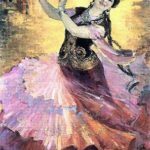 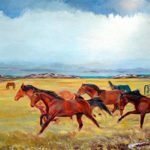 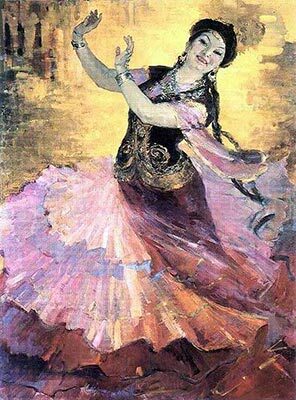 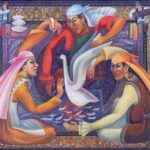 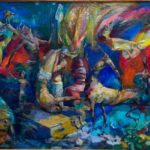 An important role in the origin and development of art in the Republic of Kazakhstan played Russian artists working in a progressive direction. 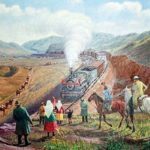 Drawings and watercolors Ch.Valikhanov and exiled to Kazakhstan Russian artist Taras Shevchenko clearly reflect the life and experiences of Kazakhstan XIX century. 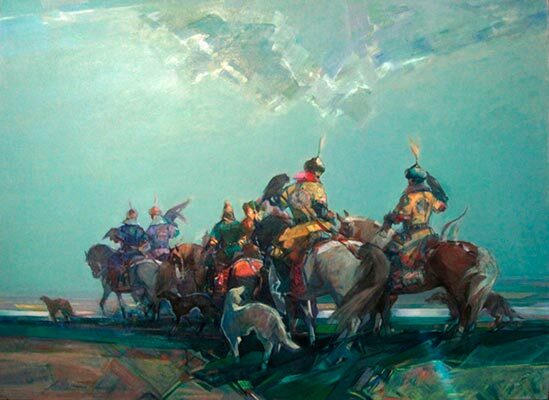 But in the paintings by VV Vereshchagin topic of Central Asia and, in particular, Kazakhstan has been one of the main. 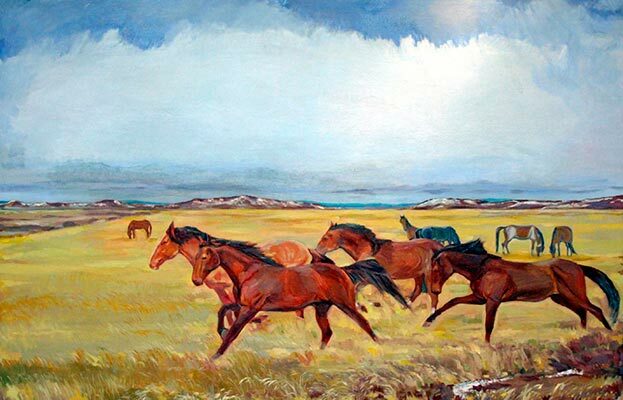 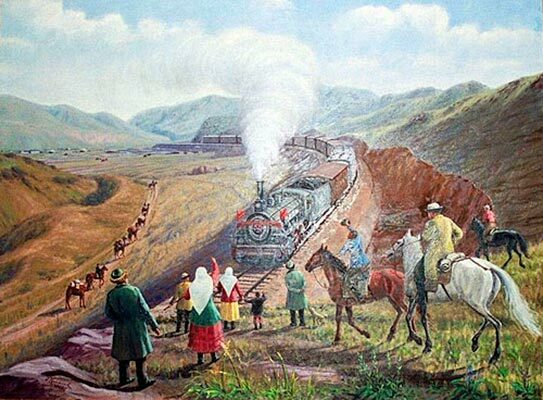 His painting „The surrounding mountains Lepsinsk edge“ accurately conveys the awesome beauty of the land of Kazakhstan.